Traders – a quick an easy profit today right at market open. 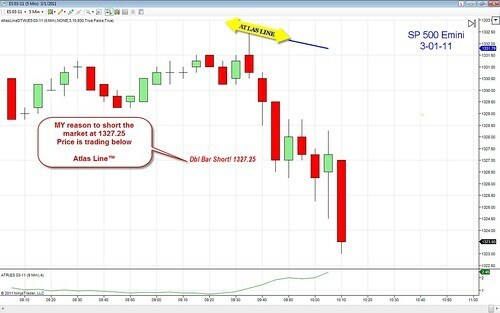 Before the drop in price, the Atlas Line generated a short signal, in addition to the line being drawn above price (indicating to take short trades). If you want to check out more Atlas Line performance pictures, be sure to visit DayTradeToWin’s Flickr page.